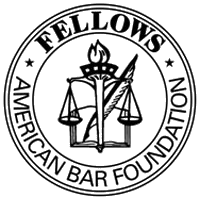 Trusted by the American Bar Association to be the official Liaison to the Greek Bar Association. Thousands of cases handled involving overlap between U.S. law and Greek law for Greek Americans nationwide. Named among the top 100 trial lawyers in the United States by the National Trial Lawyers Association. AV Rated by Martindale-Hubbell, Preeminent in recognition and competence, highest integrity. Selected to the Pennsylvania Super Lawyers list in International Law for seven consecutive years. Selected for inclusion in the prestigious Who’s Who Legal 2016, by Law Business Research of London. Since 1996, Who’s Who Legal identifies the foremost and leading international legal practitioners in the world based on comprehensive independent surveys with general counsel and independent lawyers worldwide. Many of the legal issues faced by Greek Americans straddle the border between the U.S. and Greece. This leaves people with a challenge: Who do they choose as their lawyer? A lawyer licensed in the United States alone does not have the necessary knowledge of Greek law, while a lawyer licensed only in Greece does not have the ability to do the required U.S. legal work. Furthermore, a Greek lawyer does not have the regulation of the American Bar Association, and that lack of regulation has led to many Greek lawyers taking advantage of clients, particularly when there is an ocean between them. The ideal solution: a law firm that is licensed to practice in Greece and the United States, that has a real presence in both countries. Only one law firm fits that description: Hahalis & Kounoupis, P.C. - Greek Law Group. Why Choose the Greek Law Group? 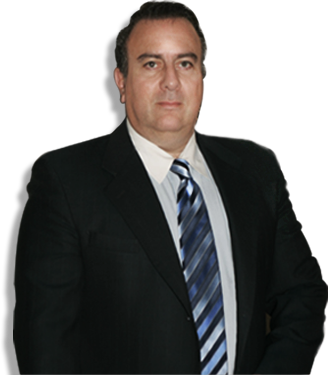 When you choose our law firm, your case will be overseen by George S. Kounoupis, the first U.S. attorney to also be subsequently licensed in Greece. 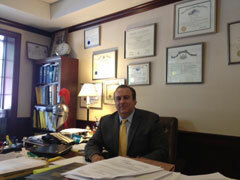 He is the attorney trusted by the American Bar Association to be the liaison to the Greek Bar Association. Over the course of more than 25 years, he has handled thousands of cases involving overlap between U.S. law and Greek law for Greek Americans nationwide. He Co-Chairs of U.S. Lawyers Practicing Abroad Committee of the American Bar Association. The National Trial Lawyers Association included him among the top 100 Trial lawyers in Pennsylvania. His list of credentials, accomplishments and honors is second to none. We represent Greek Americans in all legal matters, including wills and estate planning, inheritance and estate administration, property management, real estate, tax law, family law and business law. George S. Kounoupis key speaker on major conference in Athens on Mediation with Prime Minister. Call 610-865-2608, toll free 610-865-2608or send us an e-mail to schedule a free initial consultation - in English or Greek - with a U.S.-Greece estate administration attorney. We handle everything. In the great majority of cases, you will not need to travel to Greece or a Greek Consulate, or even to our law office. We will communicate with you via phone or e-mail, sending all required documentation to your U.S. address. Our services include all necessary translations of legal documents: Greek-to-English or English-to-Greek. Of course, you are welcome to visit any of our offices in person, so we can meet and discuss your case.